Five HD launches on Sky and Virgin Media today | What Hi-Fi? 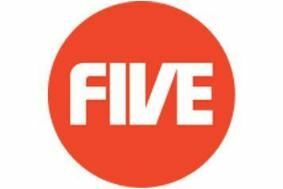 Having lost its slot on Freeview, Five HD debuts on satellite and cable TV today. Five's brand-new live entertainment series Don't Stop Believing premieres in HD on Sunday, July 18th. Other programmes to be shown in HD include popular Aussie soaps Neighbours and Home & Away; US dramas The Mentalist, Grey's Anatomy, Law & Order: Criminal Intent and Law & Order: Special Victims Unit, as well as sports coverage from Cricket on Five and Europa League football. As well as Five HD, Virgin is also adding two new time-shifted channels for Fiver and Five USA, to be dubbed Fiver +1 and Fiver USA +1.